MONDAY, March 11, 2019 -- Kids with poorly controlled asthma struggle in school, especially those who are ethnic minorities, a new study reports. Those with a greater number of daily asthma symptoms had more absences, less school work completed and poorer quality work, according to the study published March 11 in Annals of Allergy, Asthma and Immunology, the journal of the American College of Allergy, Asthma and Immunology (ACAAI). "We found associations between poor asthma status, poorer asthma control, lower lung function, more asthma symptoms and decline in academic performance," lead author Daphne Koinis-Mitchell said in an ACAAI news release. "These associations were stronger in ethnic minority children, particularly Latino children," she added. Koinis-Mitchell is a research professor of pediatrics, psychiatry and human behavior at Brown University in Providence, R.I.
Poor asthma control could help identify children who might be at risk for problems at school, according to the researchers. The same team previously found that urban Hispanic children with asthma have special sources of stress. "Factors such as higher levels of fear of asthma, language barriers, stress related to fitting in to the culture, poorer symptom perception, greater concerns regarding medications and lower medication adherence may put Latinos at greater risk for poor academic performance," Koinis-Mitchell said. ACAAI president Dr. Todd Mahr, an allergy specialist, noted that asthma is the most common chronic illness in childhood, accounting for 13.8 million missed school days each year in the United States. "A very low proportion of the children in this study saw specialists, such as allergists," he said in the news release. Many of the kids also had undiagnosed hay fever, which can contribute to poorer asthma outcomes and lower academic success. 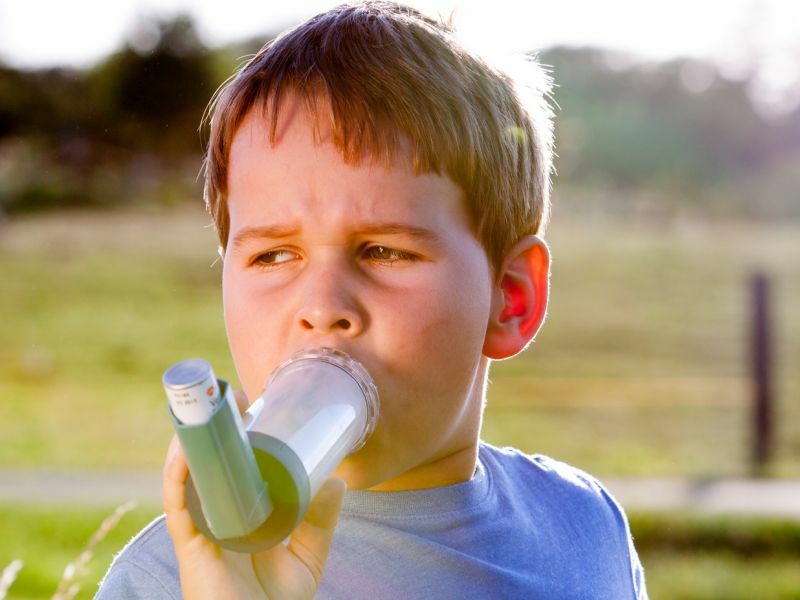 "Kids with asthma -- especially in urban areas -- need access to specialty care because anyone with asthma should be able to feel good, be active all day and sleep well at night," Mahr concluded. "No one should accept less."